This key chain floats holding up to 4 keys. Non-slip surface. Made of soft, colorful EVA foam with nautical rope. Features a sporty white racing stripe. 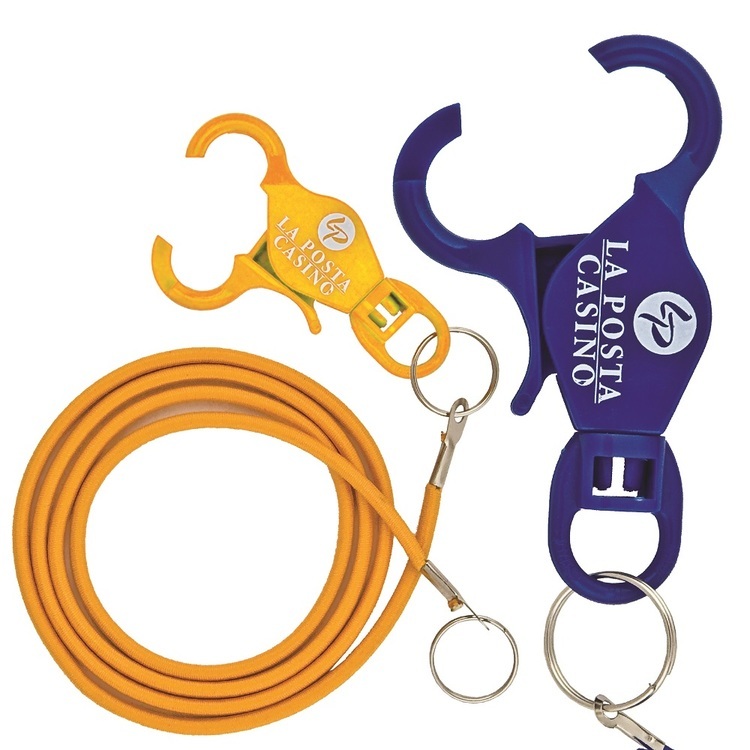 Plastic casino card bungee lanyard with metal split ring and bungee cord. 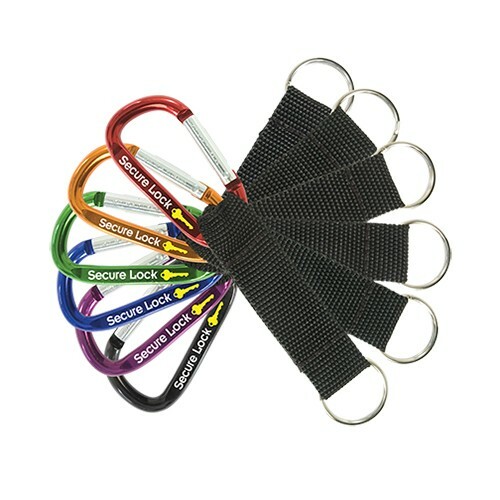 Whether you are "doubling down" or trying your luck at the slots, our bungee lanyards will keep the fun going. 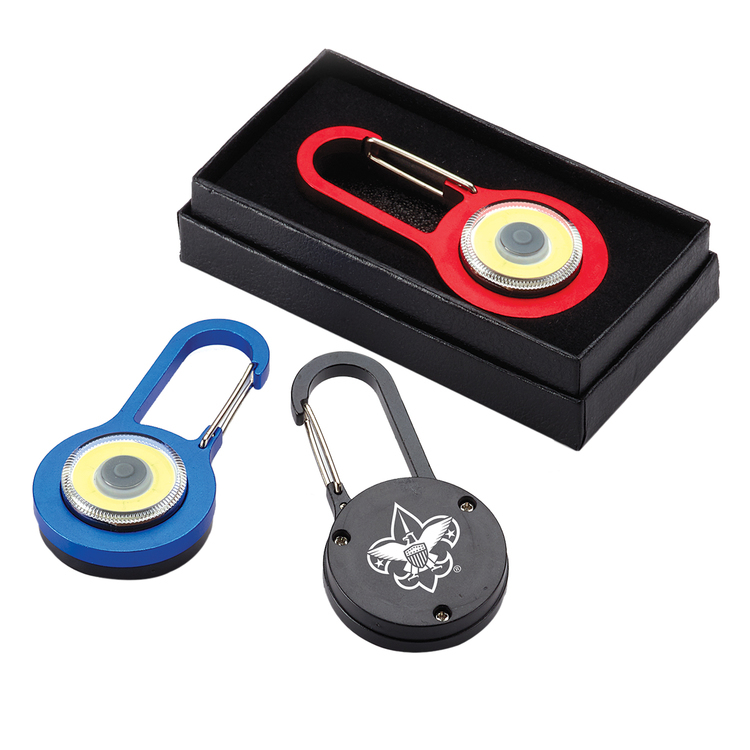 Perfect for casinos, these will keep your members membership card close at hand, while preventing you from losing your card. it will save the day 10 times over. It's there when you need it most and takes up almost no space at all. Includes black carry sleeve with a belt loop. Includes full color printed packaging. 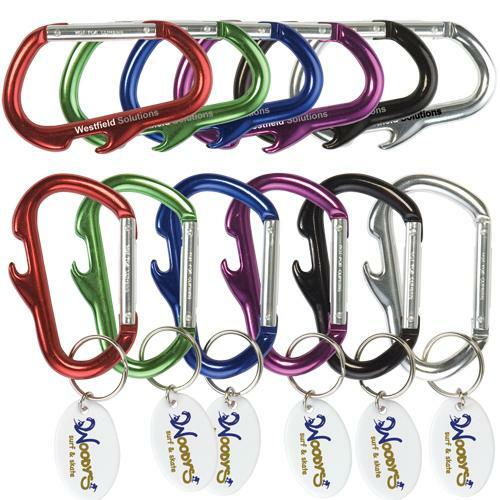 Pull in new interest for your company with the Carabiner Retractable Badge Holder w/Slide Clip! 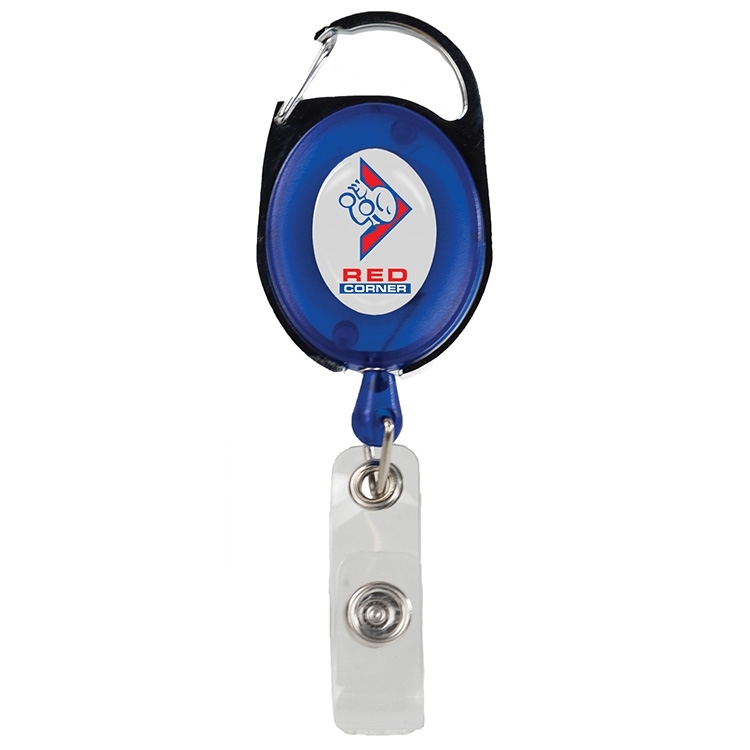 This awesome promotional product with a metal belt clip features a 36" retractable cord, a stationary slide clip and a four color N-Dome process imprint. 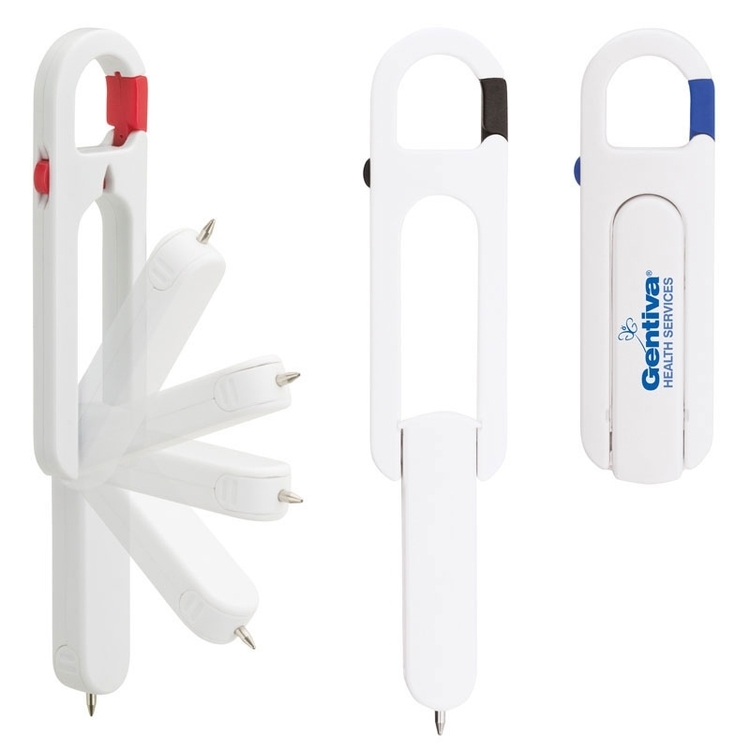 It easily clips to pockets, purses and belts. 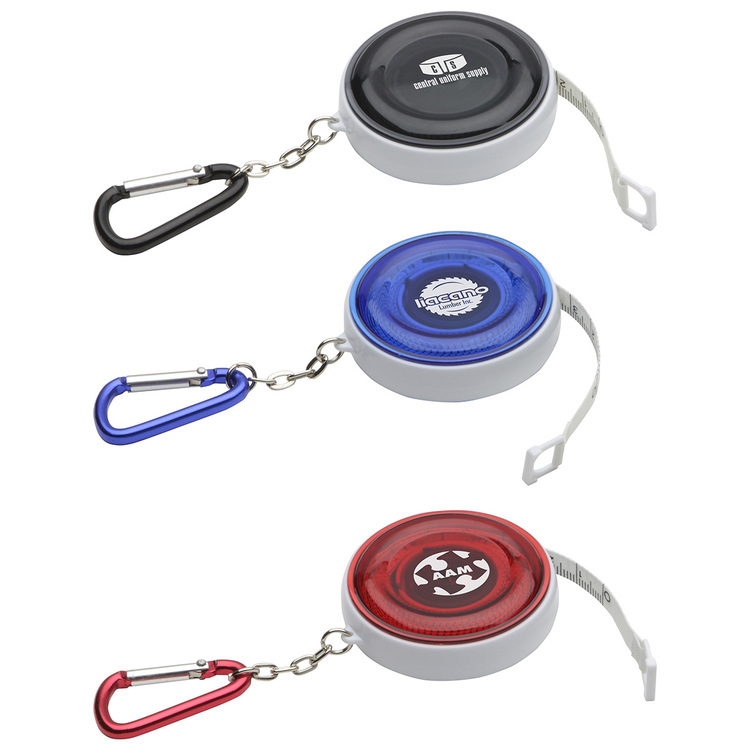 The N-Dome (TM) decoration gives you incredible color for your company message or logo. Don't get looked over at your next advertising event when you hand out a marketing tool that's both attractive and useful! 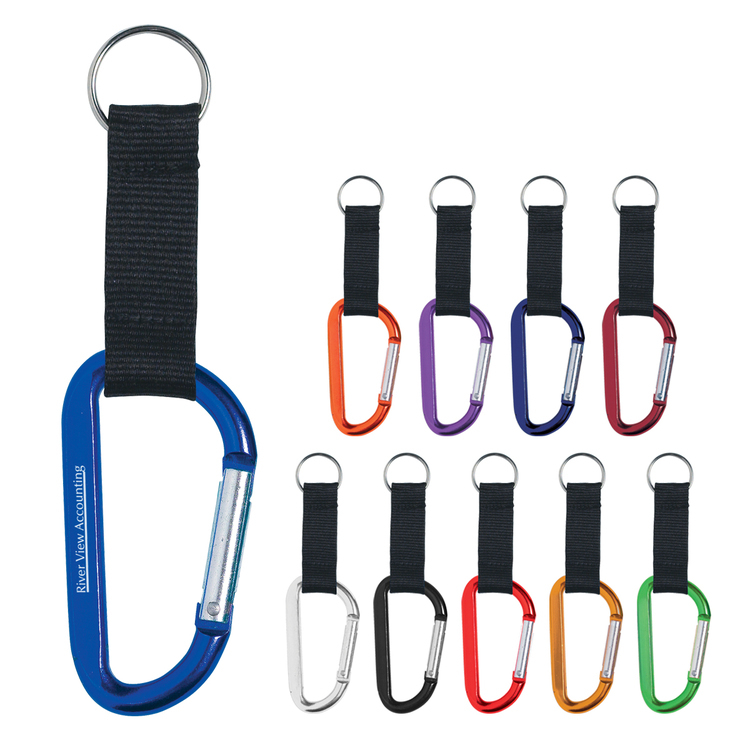 Attach the 3"L anodized aluminum Carabiner Safety Light to your backpack or belt loop for quick access to hands-free lighting. 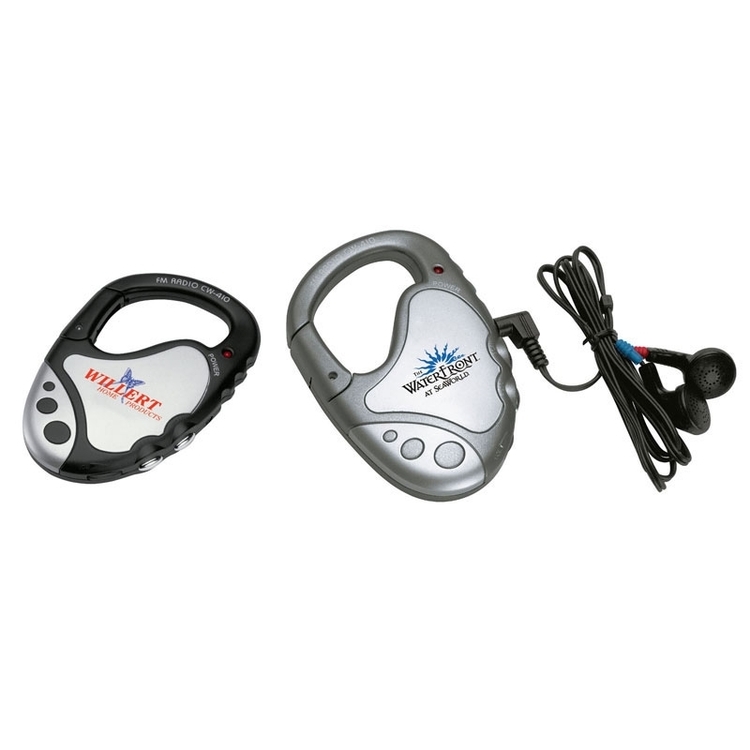 Perfect for safety (dog walking, bicycle riding, kids safety programs, Halloween, charity walks), travel and the outdoors. 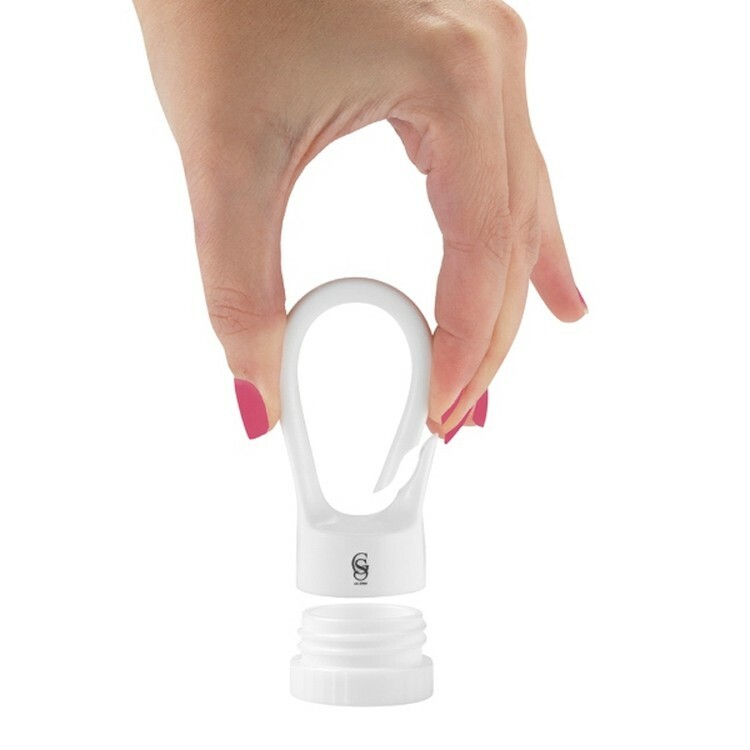 This powerful COB LED light has 3 light modes: full power, half power, flashing strobe. Item comes pad printed and gift boxed. 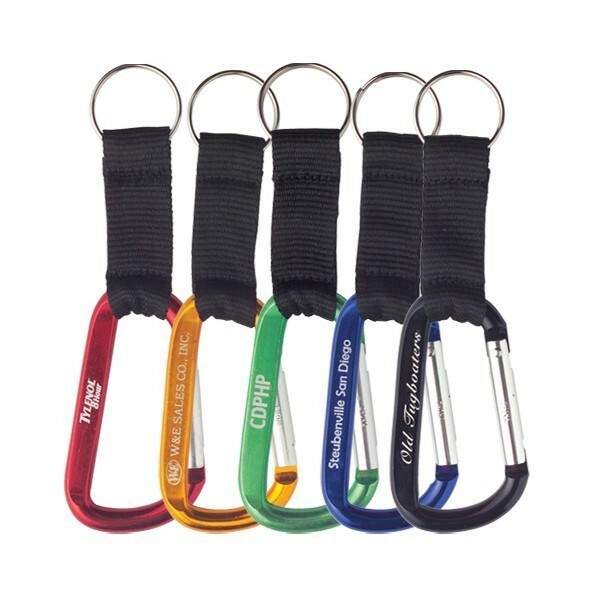 Reusable Bottle Ring with carabiner cap and adapter that screws onto any water bottle or drinking can. 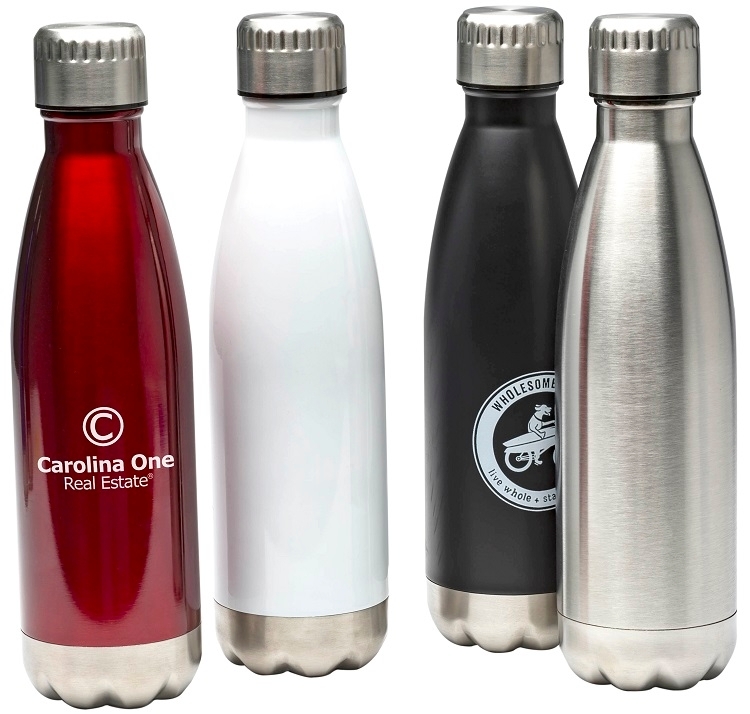 Encourages consumers to refill and reuse plastic bottles instead of just tossing them away.. 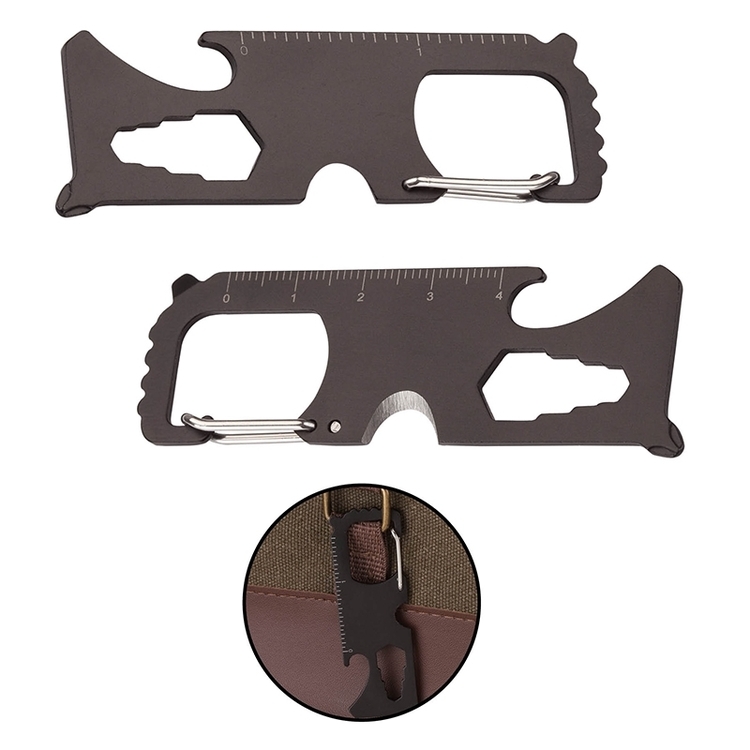 Perfect for clipping to your pants or backpack. Keeps carbonation in and bugs out. Product Size: 3" H x 1.25" D. Patent Pending. 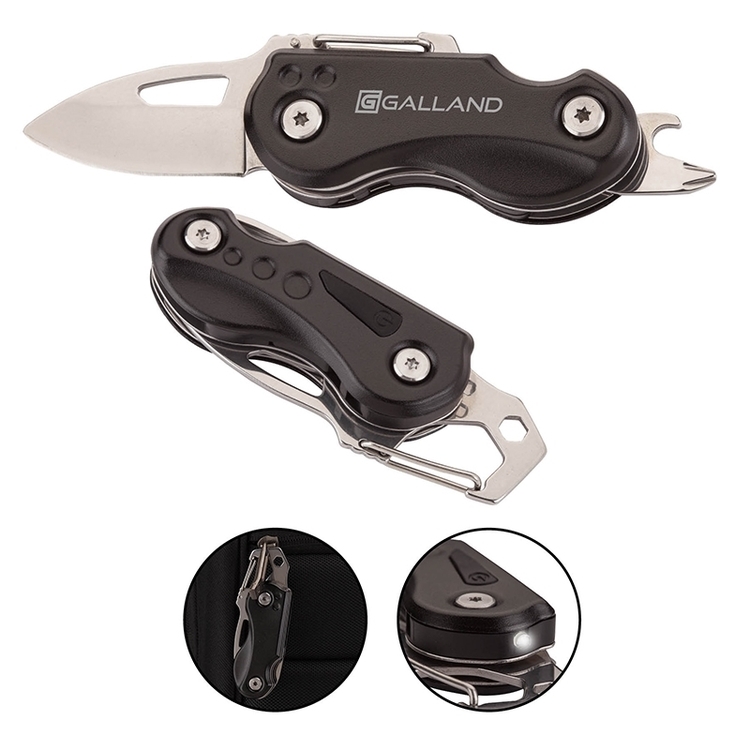 The High Sierra Single Blade Knife features a black stainless steel blade and handle. 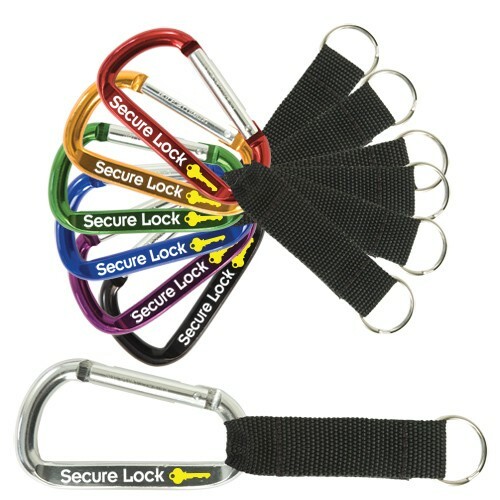 It's equipped with a carabineer and belt clip which makes it easy to carry. 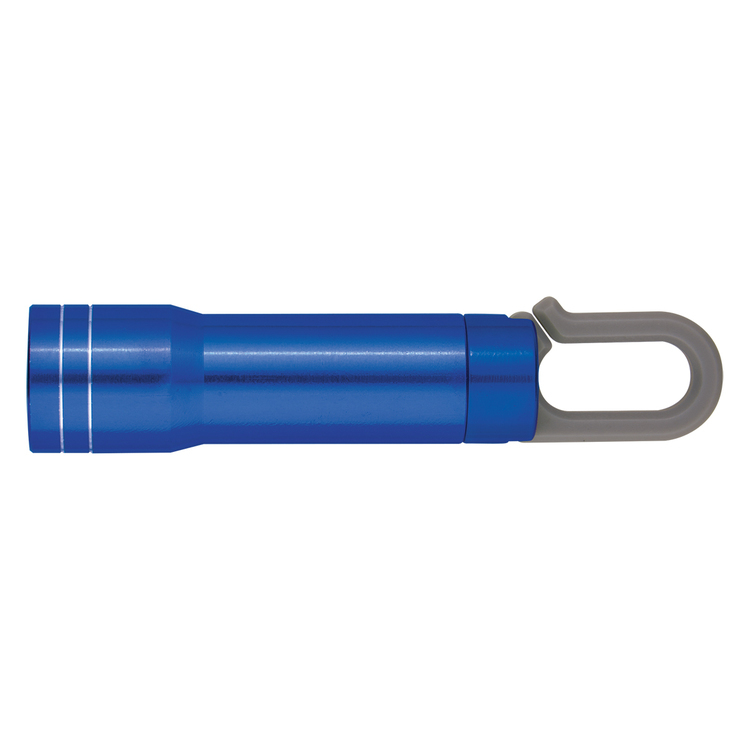 For added safety it features a liner lock to safely hold the open blade in place. it will save the day 10 times over. It's there when you need it most and takes up almost no space at all. Includes black carry sleeve with a belt loop. 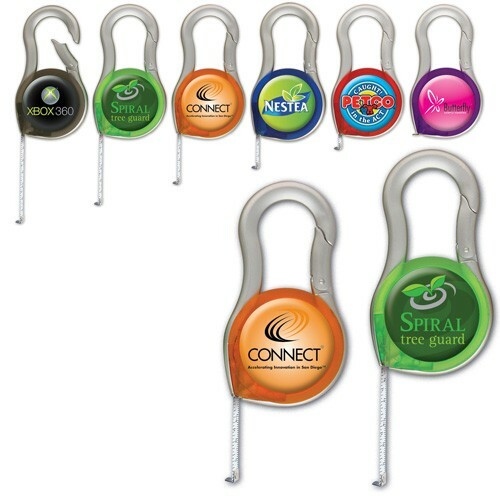 Smooth out the rough edges in your marketing plan with this Oval Carabiner Badge Reel! 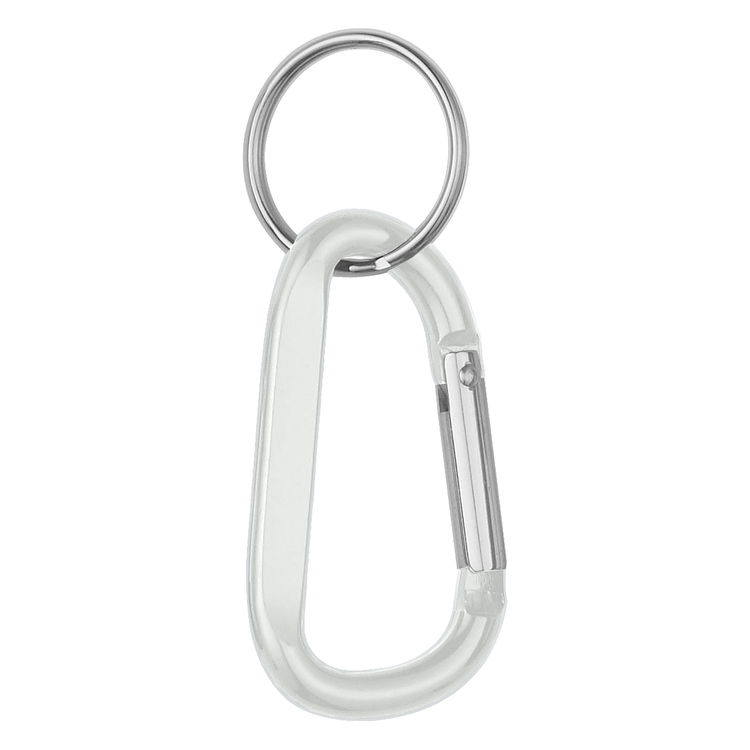 The 1 3/8" x 4 1/8" badge holder is chrome accented. 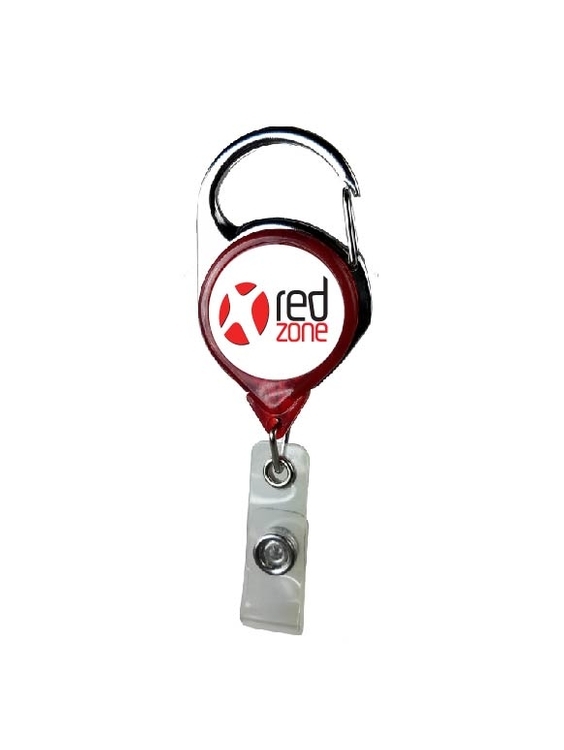 It's equipped with a 36" retracting cord. 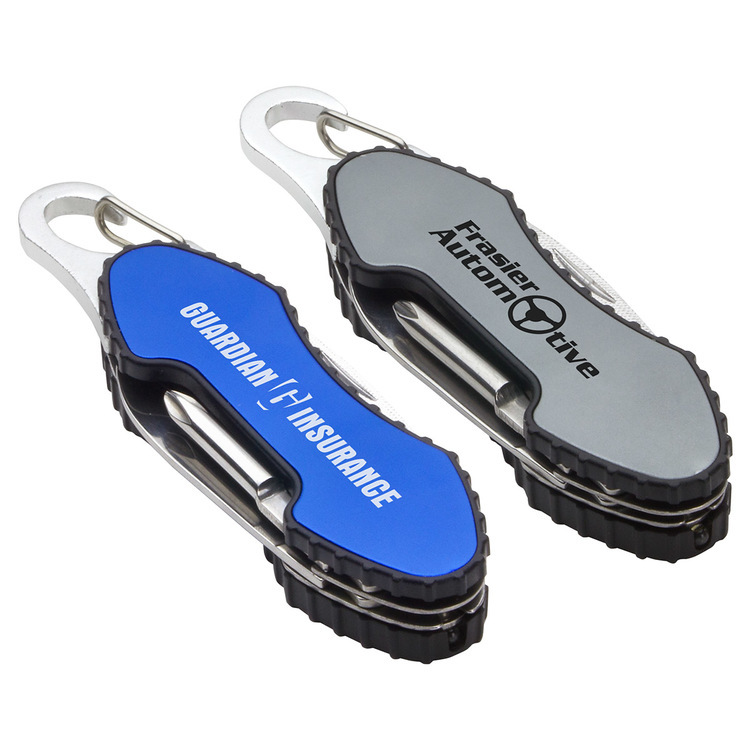 You can customize it with your company logo and information using our four color process digital imprinting. No matter how you decide to detail your version of this amazing marketing tool, you'll get use out of it at trade shows, seminars, conventions and more. Keep a hold on your new customers! 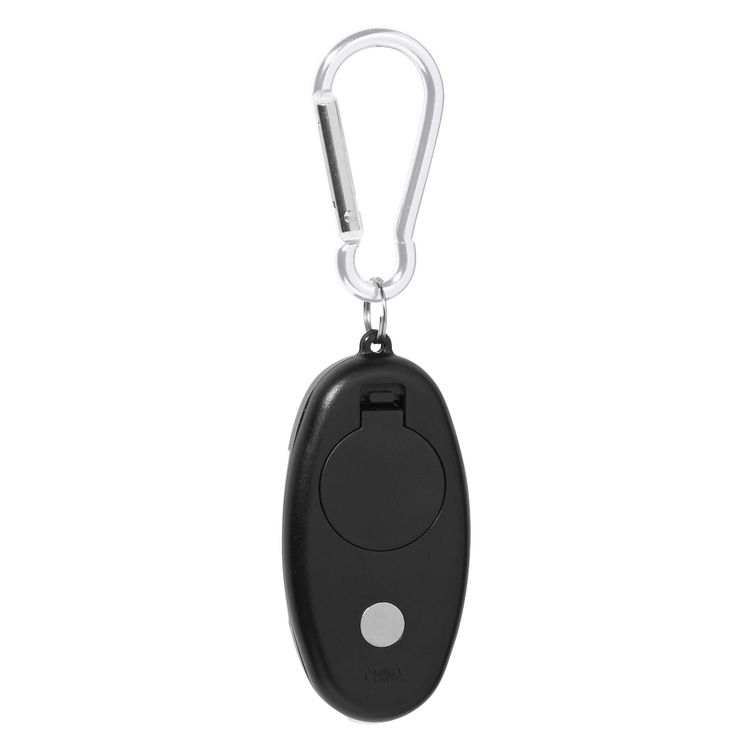 Stap with split key ring attached. Actual size is 1-1/2"h x 6"w. Individually polybagged. Attaches To Backpack, Belt Loop, Etc. 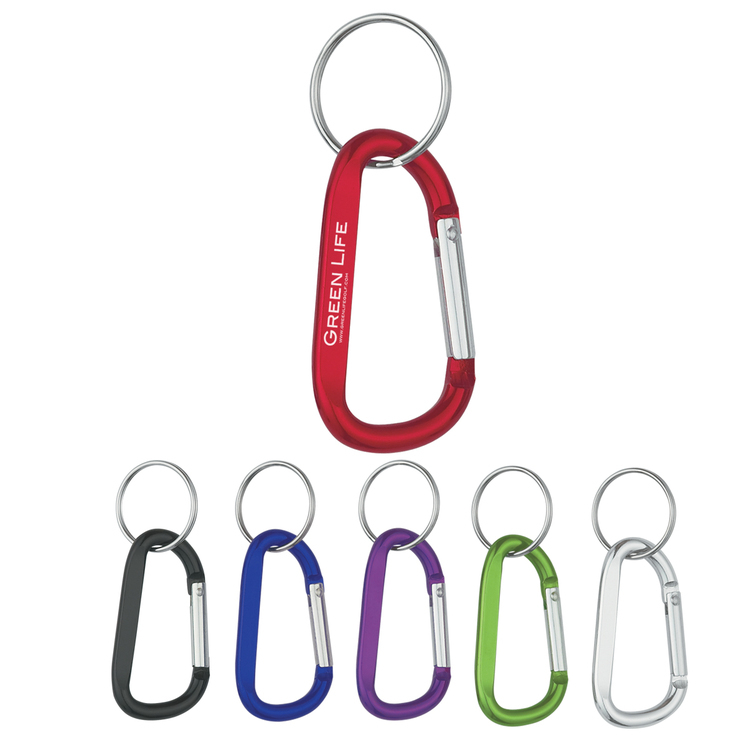 This handy silver plastic carabiner can clip anywhere. 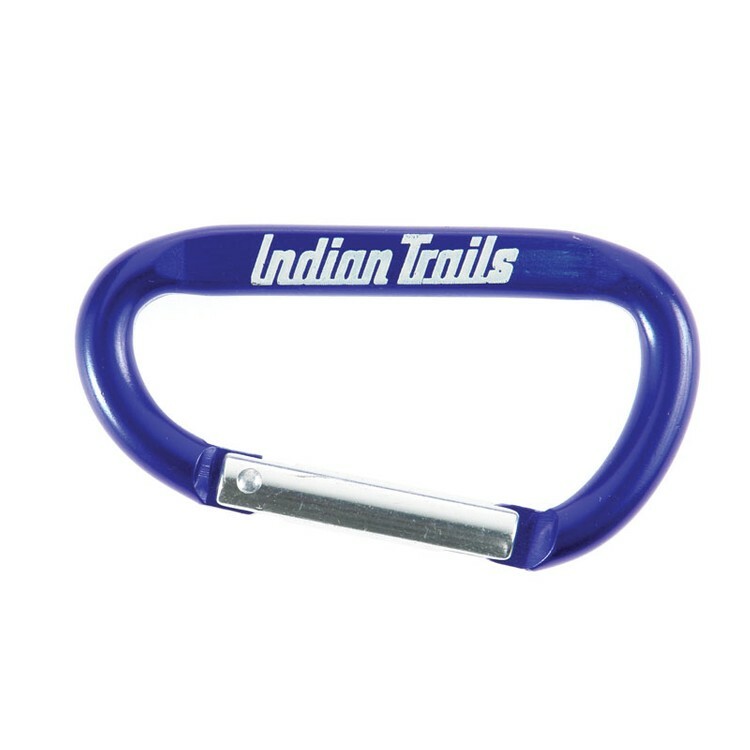 Spring loaded carabiner gate. 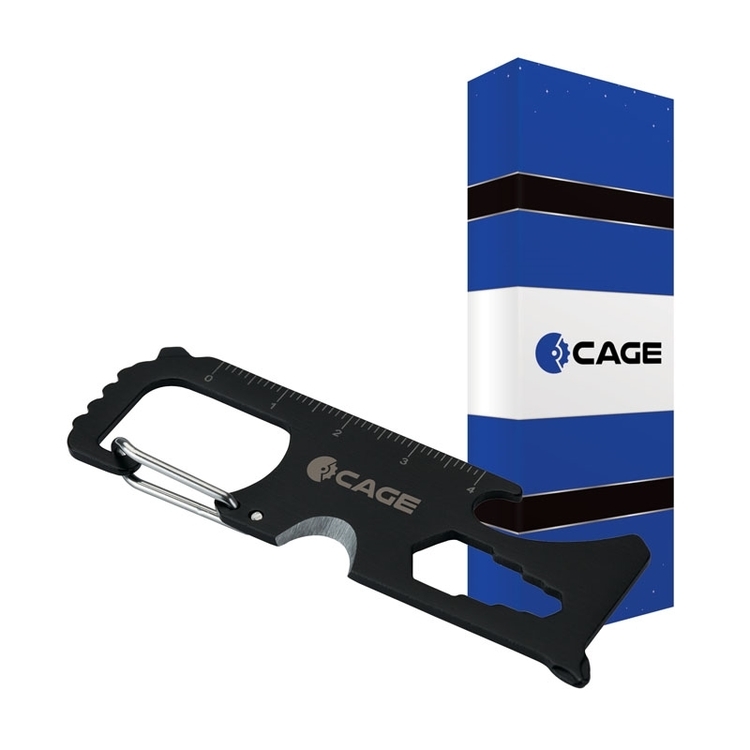 Includes 6-foot retractable measuring tape.  VibraColor® Dome and free Vibra stock photo collection. Make sure your business measures up with this brand booster!